Mortgages And Remortgages For New & Current Landlords. Access Some Of The Best Buy To Let Mortgages. 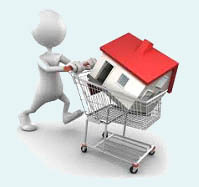 Extensive Buy To Let Mortgages - Buy New Or Release Money. Many Circumstances Considered & All Quotes Free. Whether you are considering your first buy to let purchase or looking to acquire an additional property for your portfolio we have options to suit many scenarios. Perhaps you want to remortgage a current buy to let property to release some equity for refurbishment or to use as a deposit on an additional buy to let property, if so we could help. First choice have been involved in the Buy To Let arena for over 25 years. 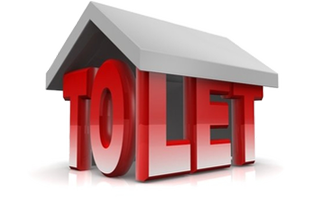 If you have just entered the rental market or if you already have a range of buy to let investment properties, buy to let mortgages and remortgages can be a useful means for landlords to maximise the potential of their portfolio. Size does not matter, whether you are looking to purchase a £40,000 first time buy to let or add a £750,000 property to your multi-million pound portfolio we will always search our plans for you without obligation and give you a quotation for free. Call free phone on 0800 298 3000 for a no obligation confidential discussion or complete our short on line enquiry form to get the ball rolling. With Access to a large selection of buy to let mortgages and remortgages from a selection of both specialist lenders, as well as many of the major high street banks, we have helped numerous customers become landlords or extend their portfolio - contact us today and let`s help you find the buy to let mortgage to match your requirements. What You Should Know About Buy To Let. If you are considering investing in property then becoming a landlord is one way of entering the property market (although you should bear in mind that property values can go down as well as up).If you want to become a landlord the initial step is purchasing your first buy to let property, which can be done by arranging a buy to let purchase mortgage with the help of First Choice. You may already be an established landlord and want to purchase an additional property in order to expand your portfolio. In this case you could take out a buy to let remortgage on one of your current properties or you could arrange a buy to let purchase mortgage to raise the money if you have a deposit. Buying a rental property is an important decision and if done correctly, is one which many landlords can make a positive return on in the long run. For advice on investment risks and returns you should speak to an independent financial adviser. There are a number of reasons why you may want to consider a remortgage . You may have come to the end of your current mortgage fixed or discounted interest rate deal, and rather than transferring to your lenders standard variable rate (which may increase your monthly repayments), you could arrange a new fixed or discounted rate product which could reduce your repayments or at least provide the stability of knowing they will not increase for a set period of time. The second common route to remortgage your buy to let is to release capital through the equity within your property to spend on other things, so you could treat yourself to a family holiday, buy a new car, make home improvements or use the money to consolidate any other outstanding debts and ease your cash flow. Both of these options are often available to you with buy to let remortgages, but you will be using the property you rent out as security, rather than the property you live in. Rental income may be enough to cover the new monthly mortgage repayments and any excess could be used to improve your properties, possibly justifying an even higher level of rent, alternatively you can spend it on yourself! Of course there are lots of factors in the buy to let market that can impact on this area so we suggest you keep a close eye on trends and developments relating to buy to let in your chosen Town, City or Region. Can I afford fancy food this Christmas?